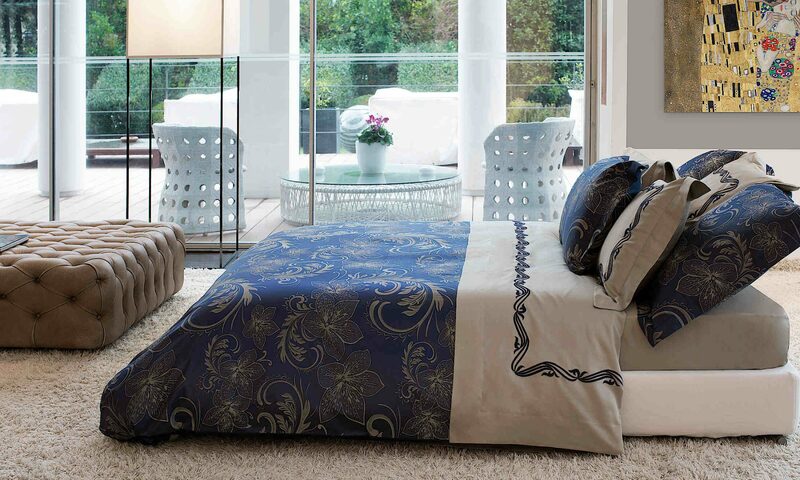 This custom bedding from Traditions Linens adds the wow factor to any modern bedroom. 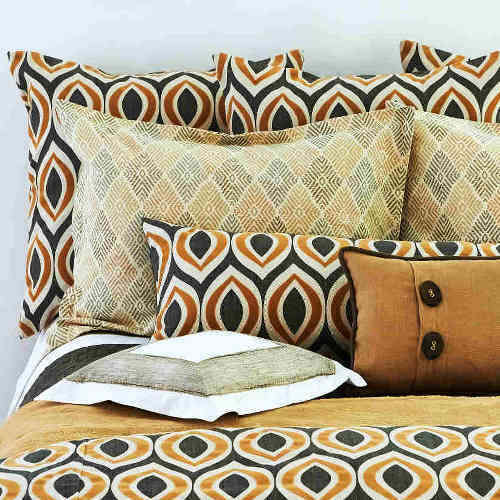 The Arabesque design of the duvet, shams and decorative pillows adds excitement to any bedroom. Kari Natural Flanged Sham, Cassia Decorative Sham,Corded sham with horn button and Kashmina Camel blankets complete the ensemble decor.